Distinctly UnAmerican Funerary Practices – Zero Equals Two! Ho ho ho! In the late 19th/early 20th century, proto-cultural anthropologists posited that the Winter Solstice was an acknowledgement of the Death of The Sun and accompanied by rites intended to aid our Star in rekindling. So, in the spirit of this season we’d like to point you at a review in the New York Times Book Review of From Here To Eternity by Caitlin Doughty – a look at the wide variety of funerary practices in vogue around the world, most of them at marked variance with the relatively sterile, brief, alienated rites in practice in the U.S.
As Thelema could be considered a death-positive religious philosophy (just look over the Death and End Collects in the Gnostic Mass homie!) perhaps you’ll find one you want your survivors to put on for YOU someday. Having just returned from a Greater Feast for Death for a Sister’s father in New Orleans during which we also commemorated the passing of Soror Amy’s beloved and spunky mother in somewhat non-conventional ways (scrambling over algae slick rocks to release a bunch into the Mississippi River then depositing the remainder on the footrest of the Carousel Bar — as this seemed like the part of the bar unlikely to be vacuumed any time in the foreseeable future), this all definitely struck a chord with us. “Doughty takes readers around the globe in search of alternative rituals and doesn’t hold back on the gory details. In Japan, mourners practice kostuage, using chopsticks to transfer the cremated skeleton bits of their loved ones into urns. 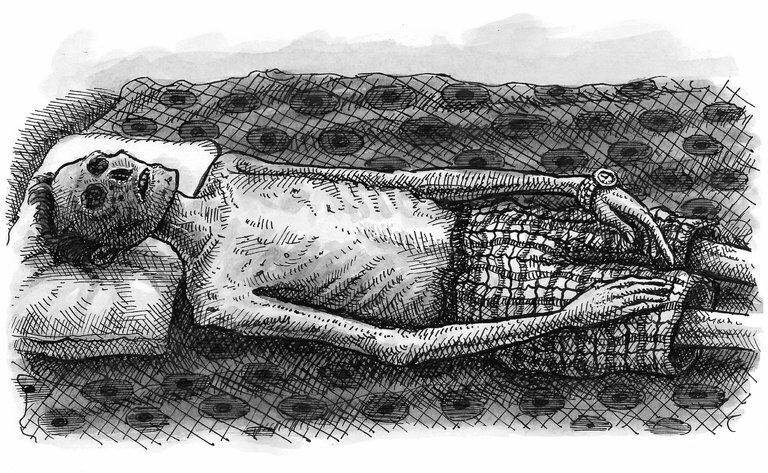 In a remote area of Indonesia, villagers mummify, dress, feed and even sleep beside their dead. Doughty lets us know she finds this as jarring as we do. 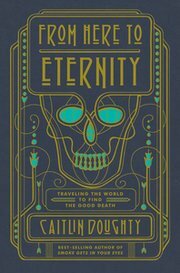 Read the review here: https://www.nytimes.com/2017/10/27/books/review/from-here-to-eternity-caitlin-doughty.html.